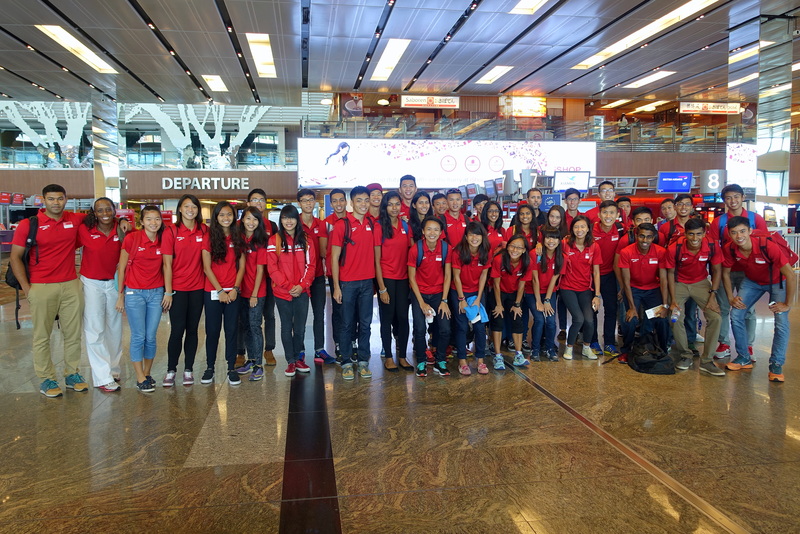 13 May 2015 – 39 of the 74 Singapore Track & Field SEA Games 2015 athletes headed to Taipei this morning to participate in the Taiwan Open, as part of their final preparations leading up to the 28th Southeast Asian (SEA) Games in June 2015. Led by SEA Games athletics team captain Kenneth Khoo, the Singapore contingent will take on athletes from 14 other countries, including 400m Olympic gold medalist LaShawn Merritt. The competition will be held on 15 and 16 May 2015 in Taipei City. 400m sprinter Khoo is looking forward to the Taiwan Open where he will be seeking to fine tune his preparations and has targeted season best timings as he approaches his fifth SEA Games in June. “This being the final competition before the SEA Games, I am hoping to achieve my season bests in both the individual 400m and the 4x400m relay with the rest of my teammates. One other key member of the traveling contingent will be Assistant Team Manager Morales Menon, who has also been appointed for the same role when the SEA Games kicks off in less than a month’s time. With Singapore Athletics putting out the largest contingent in SEA Games history, Morales knows that he has a huge responsibility on his hands. This will be the final competition for the Singapore athletes before they are set to do battle on home soil from 5 to 16 June 2015 at the newly minted National Stadium at the Singapore Sports Hub.